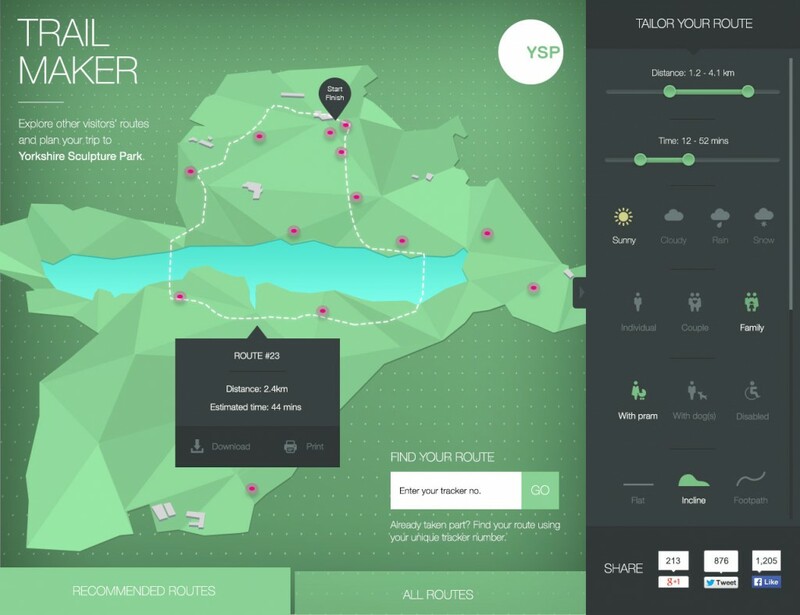 Design of an interactive web app illustrating visitors’ routes around Yorkshire Sculpture Park. 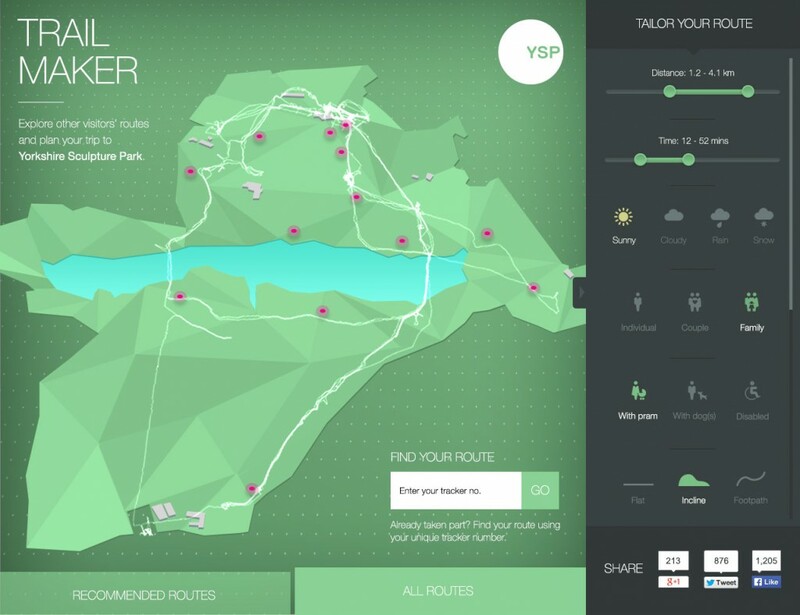 Working in partnership with Yorkshire Sculpture Park, this interactive web app formed part of a joint application for R&D funding from NESTA and Arts Council England. I was responsible for leading the digital part of the project. Our aim was to perform extensive on-site research including utilising GPS devices to track visitors’ routes around the park. This data would help inform the future design of park paths, signage and sculpture placement. 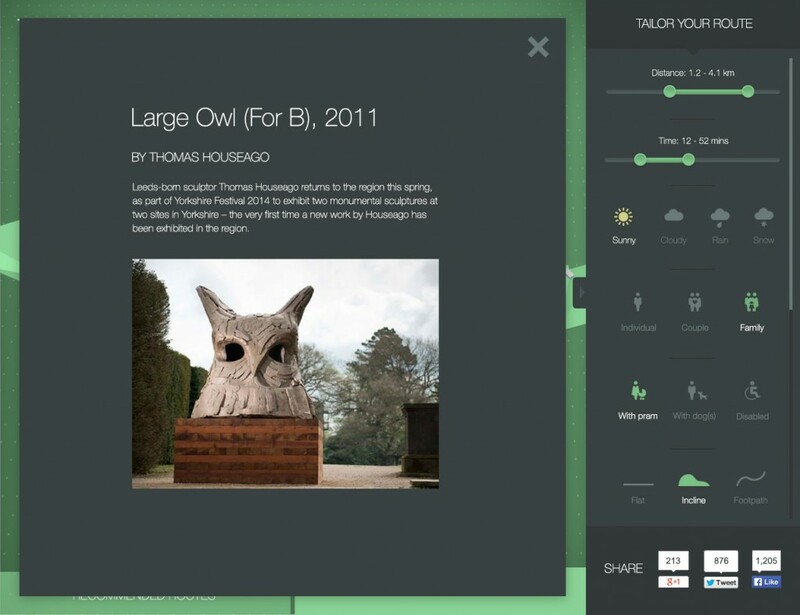 The interactive web app was proposed as an output of the research findings. Furthermore, we proposed that the information could be used to engage visitors post-visit, encouraging revisits to see sculptures that might have been missed, or visits to other arts centres of interest.